As according to the Burmese astrological date after Nov. 17th the Junta’s faux pas will become a fait accompli while the civilized international community looked on with folded arms. The crux of the Burmese struggle is the inconceivable difference between Burma’s diverse ethnic nationalities, label as separatist and that of the pro-democracy forces that are unable to accept the ethnic nationalities as equals, in their obsession to overthrow the illegitimate regime. Their respective local leaders, by their actions, have chosen to live under the tyrannical regime rather than compromise their belief with their brethren. If they have been united the Junta would have been overthrown long ago, now the Jean is out of the bottle and is threatening everybody within its reach. Many ethnic leaders still living or dead regret that they ever signed the Panglong Accord of 1947, if they have known that the Tatmadaw (Burmese Army) would never honour the concordat and treat them as equal citizens in a federal type of government there would never be the Union of Burma but several independent principalities. Now the struggle for their birthrights will have to go on indefinitely until a day when a democratic federal government of the Union of Burma will be installed and the ethnic cleansing entirely stop and treat all the people of Burma as equal. Currently, the desperate pro democracy movement in Diaspora and in the peripherals of Burma have nothing left except their emails and internet to make a hue and cry over it, while they will continue to fight with their declarations and demonstrations occasionally.. Those inside the country will have to bite the bullet and make their best to survive. In this electronic age and digital world, the struggle of Burma must be seen in a wider international context. There are two categories of international players; the West (Americas, Europe, Australia and Japan) will not help until and unless they gain something, while the Asians (particularly China, India and ASEAN) are out and out to exploit the country and people to their advantage with their Constructive Engagement Policy demonstrating their Asian values. In practice, the Judeo Christian countries of the West, morally dominates over the Asian counterparts politically, as well as in terms of humanitarian aspect as far as the Burmese case is concerned. Here, Uncle Sam the de facto leader of the West comes into the picture. President Barack Obama’s speech of announcing the end of Iraq War came to no surprise to the people of Burma, as we watch 5,000 Americans and allies’ soldiers made a supreme sacrifice together with 150,000 Iraqis with a cost of more than $ 700 billion just to get rid of the dictator Saddam Hussein. Of course the hidden agenda is Iraq’s black gold without which Uncle Sam will never go to war whatever their rhetoric. What did Burma have to attract the Americans? One could never expect such a scenario. From Iraq’s perspective more that 2 million Iraqis (Burmese estimated to be three to four millions) fled the country and most, if not all of them are educated professionals so desperately needed for the country. Those who chose to reside in the country does not have basic necessities such as drinking water, health care and education is the in the minimum, just like in Burma and electricity is rationed as in Rangoon and Mandalay. Even after Saddam Hussein is long gone Iraq country is starting from scrap. Of course the condition of Burma is worst than what Iraq is now, because the dictator backed by the Tatmadaw is out and out to retain its power and reward its cronies with the election in November. No nationalist or patriotic persons will vote in the rigged elections with a constitution destined to give power to the present dictators. To the Americans the Iraq misadventure has come to symbolise a wrong turn and the Vietnam syndrome has come to haunt them and will never repeat again. 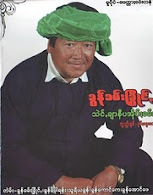 So an average Burmese could not comprehend of the big magnanimous Uncle Sam coming to help the Burmese cause where we only have the moral advantage. An America that is bleeding economically with unemployment of two digit figures is losing confidence in its ability, and perhaps in its need, to shape event in the far flung area as Southeast Asia, particularly Burma. The Burmese have little or no hope. But at the same time care must be taken not to underestimate the lone superpower or its president. Even at the age of austerity America still towers above other countries as its defence spending is more than $750 billion as much as all the rest of the world put together. But we must also notice that Obama cared more about nation-building than about exercising its superpower abroad. He has make a point of changing America’s tone and rhetoric, reaching out the Muslim World, offering engagement to Iran, bowing down to China and even to Saudi Arabia. At times his conciliatory tone has been read as weakness. But the Burmese intellectuals also sees the other side, as he resets, the relations with Russia to tighten sanctions on Iran, selling arms to Taiwan and meeting the Dalai Lama (still have to meet Daw Aung San Suu Kyi) in spite of China’s growth. Chastising Israel and then working for conflict resolution of Palestine-Israel conflict. Obama Administration’s bold move to help bring the Burmese Junta for Crime against Humanity has rekindled some hope for the opposition as it was evident that the military’s top leadership not only condones these heinous crimes but in many crucial instances they issue direct orders. It had boosted the morale of the Burmese people who have become concerned about Washington, their greatest supporter since the 1988 would sell them with rapprochement with the Junta. The moral and psychological components of a policy are very important and crucial in the strategic calculations. Historically and contemporaneously, it is the non-rational elements desire for justice and accountability and outrage against exploitation and governmental crimes that drive and sustain social movements. The uniqueness of the Burmese struggle is, there is no separation from moral to strategic or from emotional to rational as a. separation between brain and heart s. It brings us hope that the characterization of Washington’s UN inquiry decision as still a part of its new engagement policy on Burma. It will be a great blow for the Junta who are morally bankrupt and economically corrupt, while the rank and file of the Tatmadaw struggle to feed their army families. Definitely it will serve as a powerful deterrent against the sadistic social-psychological tendencies within the Tatmadaw. Crime against Humanity will boost the morale of every one in Burma especially military officers, including even those who have held powerful positions themselves, deeply resent the fact that the top leadership demands from them nothing less than “total obedience,” an order that they consider feudal and anachronistic. This likelihood will increase when the officer corps is made aware that a war crimes inquiry on Burma is meant and designed to hold the top leadership accountable, not subordinates following orders from above. The more concrete the international support for real change is in Burma, the more likely the officer corps is to switch allegiance from their reviled leadership to the oppressed masses and who can stay may have a snowball effect to the real road to democracy. The dissidents—monks, civilians, student activists, labour activists, ex-army men, ethnic resistance fighters etc that have risked life and limb to keep their uphill battle for real change going against all odds and pressurize the paranoid regime by their mere existence and their refusal to capitulate has really demonstrate the determination of the people. If dissidents didn’t matter why would the regime keep several thousands of these citizens locked up and push thousands more into permanent exile? Surely they will carry on the fight come what may. Of course Obama has its ups and downs but it gives a lie to the proposition that he is neglecting the world and shirking its responsibilities and trying to throw up the burden to the rising power of China and India. No doubt he has worked hard to enlist the support of international institutions and other countries, but he also realise that some jobs America alone cannot do it such as fight against terrorism, Iran from acquiring the bomb controlling North Korea and Burma. If so the Burmese case like Dafur will be a scar in the international history if nobody really wants to help with the justification that the opposition are too weak and divided to make a concerted effort and left Burma in the obit of China. Then I would ask you to read Martin Jacques book on “When China Rules the World,” the Rise of the Middle Kingdom and the end of the Western World, as even now General Than Shwe, is in Beijing trying to make Burma like Tibet, one of the autonomous regions of China just to maintain his grip on power.